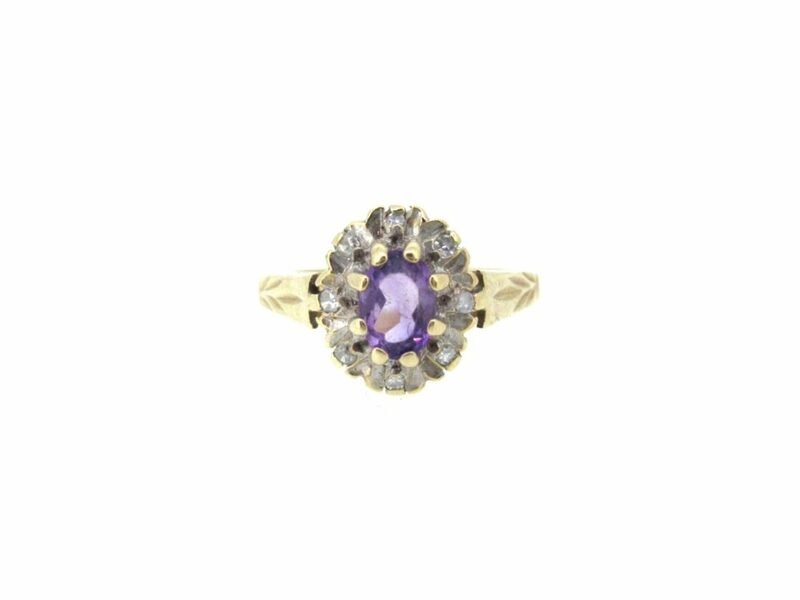 An oval amethyst stone surrounded by eight small diamonds, set in 9ct gold. Setting dimensions approx. 7mm x 8mm. Pre-owned.